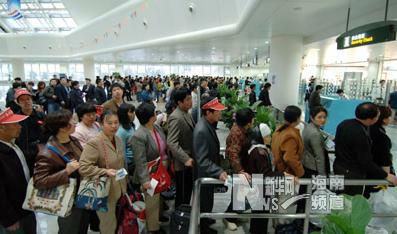 Haikou Meilan International Airport received about 1.23 million passengers in January, 2012, up 32.74% year-on-year, ranking first nationwide in passenger increment. Besides, a total of 9328 flights took off and landed at the airport in January, up 35% year-on-year. The comprehensive ranking ascends to No.13 instead of No.19 last year. Since the “Hainan International Tourism Island” became the national strategy, the passenger throughput at the Haikou Meilan International Airport has continued to keep a strong growth, and its passenger throughput topped 10 million in 2011. Haikou Meilan International Airport was listed ninth in the world’s airports and second in China’s airports in 2011.